Hockey season can’t come soon enough. 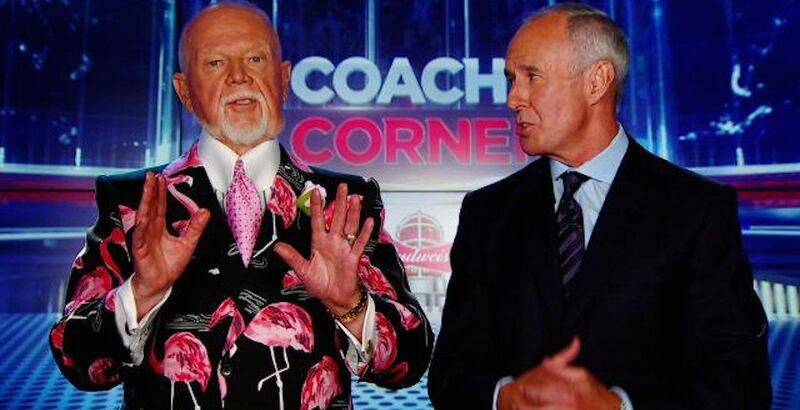 Don Cherry is a divisive figure and sometimes he just needs to know when to shut his trap. But this is not one of those times. The 83-year-old went on a bit of a random Twitter rant on Wednesday, and the topic just might surprise you. Shoes. He wants them off. Cherry has been watching television this summer and he’s noticing a trend that he’s not fond of. He wants what he calls the “Canadian tradition” of taking your shoes off when entering someone’s home to live on. I realize in the scheme of important things in the world this seems like a petty thing, but it bothers me. One of my favourite TV shows is Escape to the Country. It’s about old homes in England and Scotland all restored and for sale. I also watch real estate TV shows in Canada and the United States where they remodel houses and they show them. I ask you this question…Is it me? I am horrified when I see them walk into the house and onto beautiful white carpets with their shoes on and sometimes boots. Every real estate TV show I see, nobody takes their shoes off as they enter the house. I know in the States it’s not a tradition. Has the world passed me by that I always take off my shoes as I enter a person’s house. I know most of our cultures have gone along with our heritage. Has this Canadian tradition gone to? First of all, how dirty must Americans’ carpets be? Also: who in their right mind buys white carpet? While I can’t say I share the same level of passion as Cherry on this topic, I love the randomness of it.